Mount Batur is very fascinating. This mountain has a very wide caldera, the breadth is one of the largest in the world. Very famous and beautiful. Caldera at the summit of Mount Batur very broad. This caldera forming a vast lake. Lake inside the caldera known as Lake Batur. 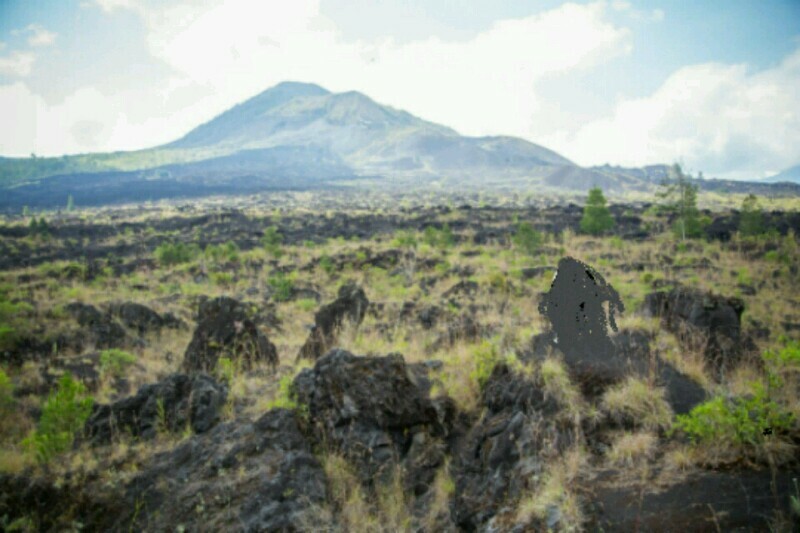 When viewed from a distance, the black color around the caldera caused by the burning of grass. Though black is a very broad group of stones. The rock was formed from lava that has been frozen. Mount Batur in Bali a tourist destination most sought by adventurers. This mountain has a rocky kandera black. With a cluster of stone which is very spacious, very nice to be spidered up to the summit of the mountain. Mount Batur in Bali is the volcano is still active. At the peak of the crater sometimes visible smoke from fulkanis activity that still happens. A few years ago Mount Batur Bali show signs of eruption activity, but only a small scale, so it does not require handlers to residents living around the crater. Attractions Mount Batur Bali very nice spidered before sunrise. For a view of the sunrise on the mountain is unbelievably beautiful. Panglaman exclamation obtained when walking along the black rocks. Do not forget to take pictures. Because the moment in this place very rarely can be enjoyed. Natural feel beautiful, cool and fresh air, wide vistas. Very pleasant to be at Mount Batur Bali.